Well what exactly is 'Home Networking'? Ok - so you have probably got a Broadband Router provided by an ISP such as BT, TalkTalk, Plusnet, ZEN, Sky etc etc. 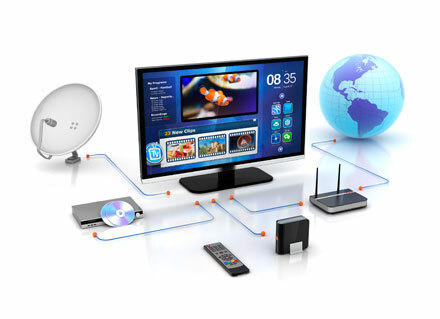 The Router enables your Laptop, PC, CCTV, XBox, iPAD, iPhone, Sonos, Media Player, Apple TV, Network Storage box etc to connect to the Internet (or World Wide Web WWW) and download content such as web pages, music files, films and email. The Router will have to connect to these devices and it can do so in several ways; Ethernet - a Cat5 cable connected to the Router and to the device (i.e. a PC), Wifi - no wires ( a lot of SMART TVs have wifi connectivity now) and Powerline - network adaptors convert your 240V ring main into a data network around your home. As the process of technology refresh marches on relentlessly there are more and more devices that can connect to the Internet or connect to each other. The more devices that need either an Internet or a Local Area Connection (LAN) means more complexity in terms of how the network is set up and configured. Each device requires a unique IP address and sometimes what is called a Port number which requires Router configuration. And of course you don't always have a network point where you need it and there are always Wifi blackspots where the Router's Wifi signal just doesn't reach. A good example of the "Connected Home" is a new Samsung SMART TV connected to a Blu Ray Disc player as well as a Sky + HD decoder with Anytime (now called "On Demand") enabled, or Freesat with BBC iPlayer/ ITV Player/4OD and then connected to an Apple TV media player (which is connected to your iTunes music and film Library - or remote storage device). The Apple music Library and Digital audio content (MP3,AAC etc) is piped around the house via a Sonos multi-room audio system and your SMART TV lets you stream films on demand from Netflix or Lovefilm as well as video content from Youtube. You also watch your HD and 3D Blu Ray content in your bedroom although the BRD player is in the lounge. This is great when it it works - but what happens when it doesn't? When the Wifi signal seems to struggle and BBC iPlayer is always buffering, or if you want to extend the reach of your Wifi network but don't know how to (properly that is), or AppleTV can't connect to your iTunes server etc etc etc. This is where Kimberlee Communications can help. Having worked for many years in the Internet industry in network design and operations we are well placed to either install and configure a network or troubleshoot any networking issues you may have. 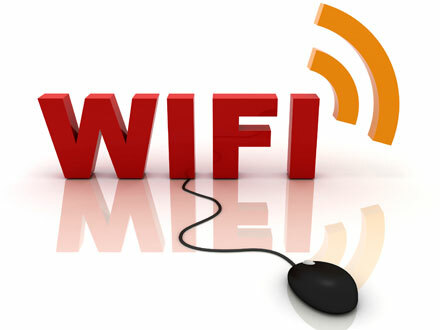 We can carry out Wifi coverage surveys and determine data throughput issues and provide solutions such as Wifi Access Points, Wifi Extenders, Powerline and Cat5/6 installations. We can demonstrate how effective your network is and why it might be under-performing. We can extend the reach of your HD and 3D content so you don't just enjoy the viewing experience in the lounge. Via HDBaseT technology, as per the diagram above, we can enable the viewing of HD or 3D content (Blue Ray Disc, Media Library, Sky 3D, Freeview HD, Freesat HD etc) from a single hub location to any room in the house or office. Home Networking is set to become the next major technology focus in the home and Kimberlee Communications can help you get to grips with it. Indeed the custom installation licensing body CEDIA is paving the way for the "Connected Home" in that it is in discussions with the UKs leading property developers to ensure that the right cabling infrastructure is installed at the property build stage rather than later. New build homes will be awarded a "SMART HOME CERTIFICATE" following a successful survey from a CEDIA Structured Cabling Assessor (CSCA). Kimberlee Communications (Kimcomm AV) is a CEDIA accredited CSCA. If you would like to discuss any Home Networking issues or require surveys or installs please give us a call on 01905 753605 or 07793065448 or use our contact us page.